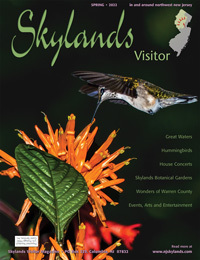 Visitors to the Skylands can find something of our national identity, and solemn beauty, in the woods and hollows and historic structures where, in “The Hard Winter” of 1779-1780, Gen. George Washington and his army found refuge. 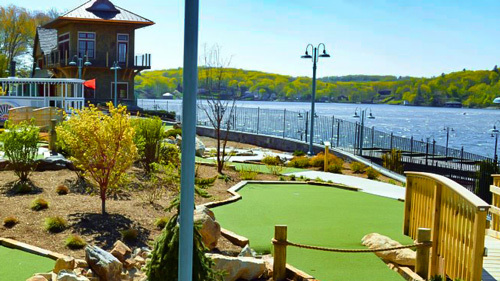 Morris and Somerset counties are home to four national treasures from this crucial time during the Revolutionary War, places important in the history of the defense of the early American nation. A new wing has been added to the Washington Museum, seen here from the lawn behind the Ford Mansion. Washington’s Headquarters at the Ford Mansion is one of the four locations that comprise Morristown National Historical Park, an archipelago of forts and encampments, homesteads and farmland that begins at the Ford Mansion in the north, and ends in the south at the New Jersey Brigade Area adjoining the Scherman-Hoffman Sanctuaries of the NJ Audubon Society, at the border of Morris and Somerset counties. Forming up roughly along the path of US Hwy 202, the Historical Park reflects the military importance of the old colonial road that went before, linking Philadelphia on the Delaware with West Point on the Hudson. The Headquarters property is also the location of the Washington Headquarters Museum, an institution that emerged from the energy and commitment of a handful of prominent benefactors in the 19th century, who formed The Washington Association of New Jersey. 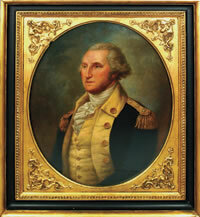 The Association today provides a kind of public-private partnership to promote scholarship and preserve the heritage of the Revolutionary era, and to honor the memory and great public service of George Washington. 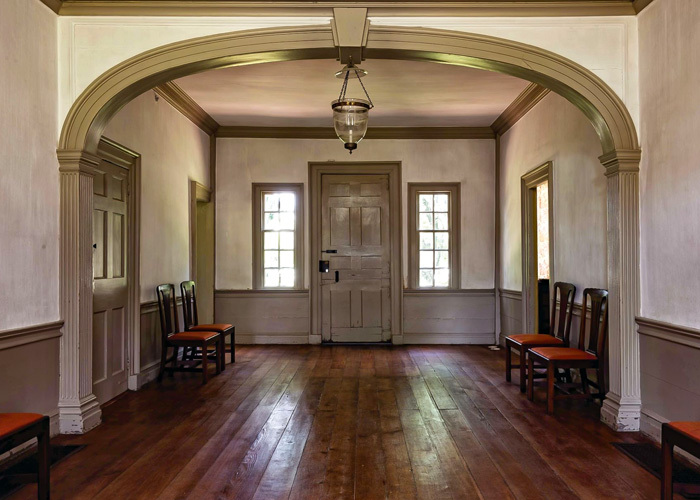 The Fords designed this large entrance hallway with its elaborate arch and moldings to impress visitors. The parlor displayed the best family furniture, and served as an office for Washington's secretaries. 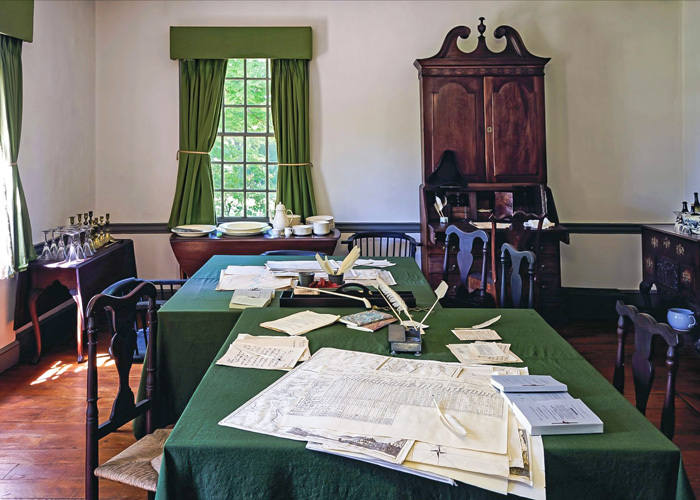 General Washington used Mr. Ford's study as his personal office. 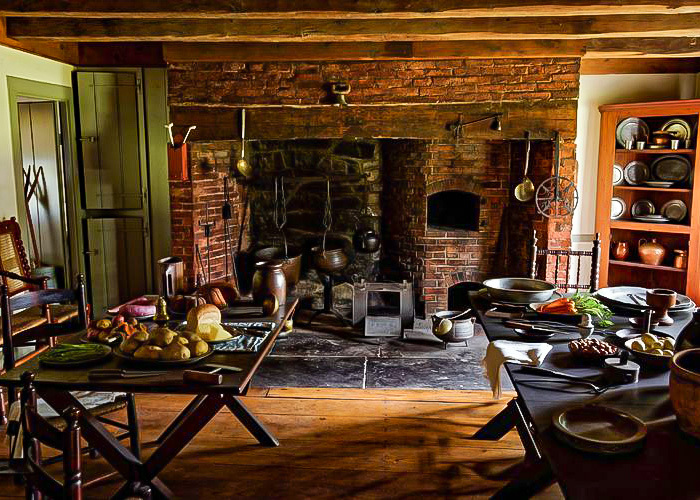 This large kitchen was not big enough during Washington's stay, having to accommodate the General's three cooks, each preparing meals for separate families. This served as George and Marth Washington's bedroom. 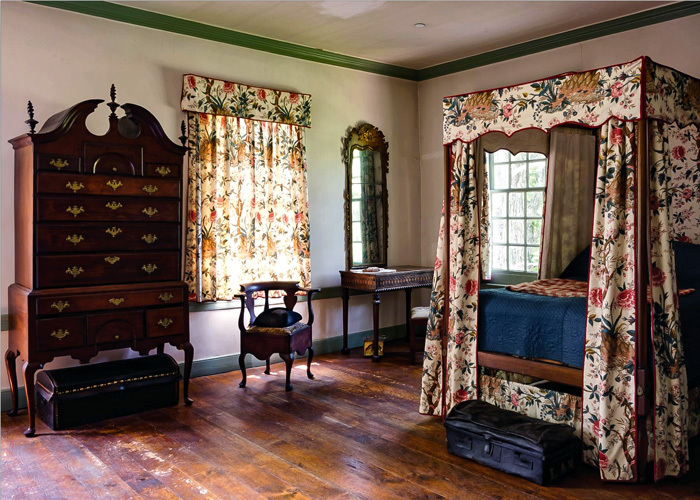 The mirror and dressing table belonged to the Ford family and were in the house during Washington's stay. Built in the Georgian style, the Mansion was completed in 1774 by Jacob Ford, Jr., an early American industrialist whose fortunes were made in the businesses of iron mining and fabrication, and the manufacture of gunpowder. A patriot, a Colonel and leader of the NJ Militia, Ford succumbed to a pneumonia he'd contracted while serving with his Militia, and died at the mansion in 1777. The army’s winter encampment of 1779-1780, headquartered temporarily on the Green in Morristown, moved into the Mansion with the invitation to General and Mrs. Washington to rent from his widow Mrs. Jacob Ford. who moved her family of four sons and their servants into the smaller quarters of the home’s kitchen and working areas. Mrs. Ford’s second son, Gabriel, who later served as a Justice of the Supreme Court of New Jersey, inherited the property and later passed it to his son, Henry A. Ford in 1849. The Ford family’s succeeding generations were proud of the support and aid they’d given to the Revolution, and were generous with their time and good fortune in sharing their special knowledge and witness to history with visiting scholars and historians. When Henry A. Ford died in 1872, the house was sold at auction, and purchased by William Van Vleck Ligerwood, George A. Halsey, General E. Norris Halstead, and Governor Theodore F. Randolph. Together, they founded the Washington Association of NJ in 1874 to preserve the property, its artifacts, and papers, and make them available to the general public. In 1933, the Association conveyed the properties of The Ford Mansion, the battlements and foundation at Fort Nonsense, and the encampment at Jockey Hollow to the federal government, beginning its new advisory role in the stewardship of public and academic access to the collections and source materials of the Association. With this transfer, the first National Historical Park in the National Park System was established. The Washington Museum is a sometimes briefly noted but familiar sight to commuters whizzing south along I-287; prominent, but also somewhat plain and almost a bit austere. It is the view looking north from the rear of the Ford Mansion that reveals the intent and inspiration of the Museum’s architect, John Russell Pope. From this perspective, the building strongly evokes of the sweep and grandeur of George Washington’s own Mount Vernon. Pope, the architect of the Jefferson Memorial in Washington, DC, designed a structure that would secure the substantial collection of the Washington Association and other acquisitions, today numbering more than a half-million pieces. Inside, original documents, textiles, paintings, period weapons, prints, china, maps, and other artifacts—less than 1% of which have ever been seen by the public—are housed in its vaults. And outside, the stately character of Washington’s own hand in the architecture of Mount Vernon is echoed. With growing collections and demands for accessibility, the Washington Museum has seen build-outs and renovations over its nearly 70 years. In 1957 a northwest wing was added to the building to include the papers of Lloyd W. Smith, a banker and collector, and the indispensable man in the effort to acquire and preserve Jockey Hollow and the Wick House. Among the documents donated to the Washington Association by Smith are several correspondences from some of the first members of the US Supreme Court, and are prized as primary source material by historians of the Court, and legal scholars. In 2005, construction of the new northeast wing of the Museum began the current effort to modernize physical access and building mechanicals, and to create the space required to house the collection and accommodate research. 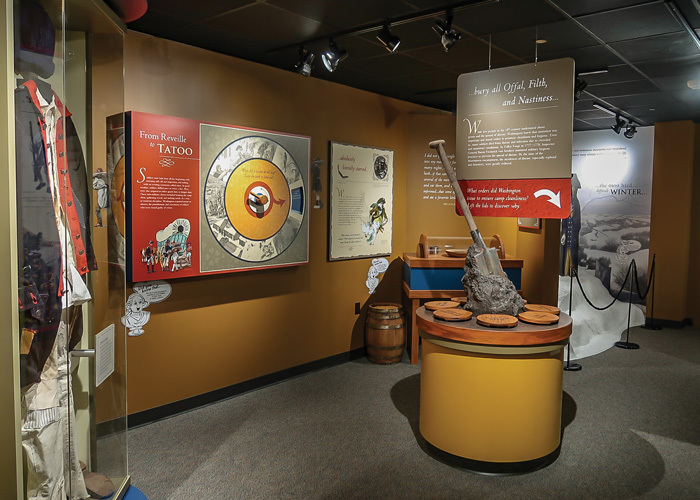 Visit the recently completed Discovery History Center at the Washington Museum. In the early 1970s, to conserve energy in federal buildings, the great windows of the building’s central auditorium were removed. As a part of the current construction, the Museum is using up-to-the minute custom window fabrication to reveal the natural light of the auditorium’s original design with thermally efficient glass. The refurbished walls and floors are true to the materials and appearance intended for them by Pope, and paint chip analysis and matching has faithfully rendered the wall colors’ original tones. The Washington Museum has found its way to the end of an ambitious expansion and renovation. 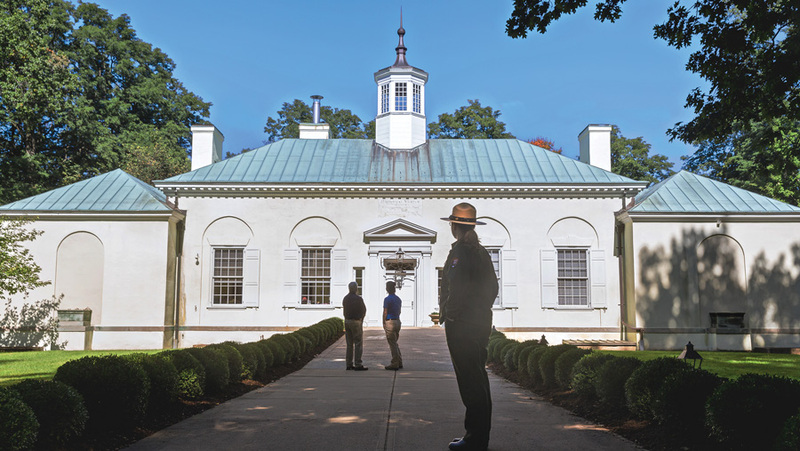 The trailers and temporary structures that have dotted the property have moved, and the public can again gather inside the Museum for tours of the Ford Mansion, and for Museum gallery shopping. 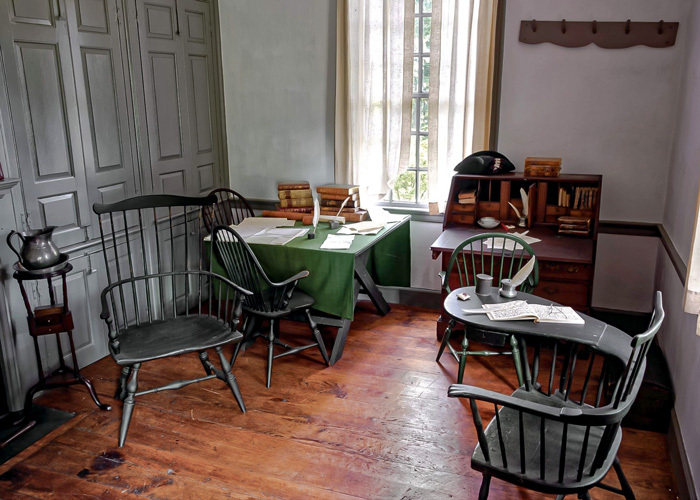 To see and enjoy the collected art and armor, to appreciate the simple practicality, elegance, and sacrifice, and to share in the folk wisdom, of our Revolutionary forebears, visit the Museum at the Park at 30 Washington Place, Morristown. Thanks to Park Superintendent Randy Turner, and Ranger Anne DeGraaf for their help in the preparation of this article. For information, call 908/766-8215. 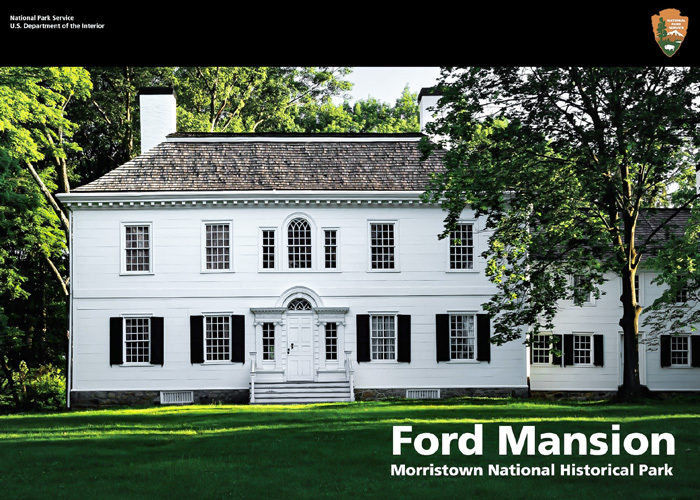 Visit the Morristown National Historical Park online.